Calendar How Do I Apply? Preschool Registration Forms K-12 Online Inquiry (pre-app) Re-Enrollment Form Teacher Recommendation Dormitory Contract Financial Aid Form Enrollment Contract Transportation Request Form Fee Schedule 2019-2020 Why choose us? Support for Jewish institutions and initiatives is a fundamental expression of a commitment to the Jewish community. A contribution to Hebrew Academy is an investment in the community we are creating together. Make a contribution directly to Hebrew Academy and your gift will result in a tax savings of the tax due at your top margin rate. Please contact our Development department at 714-898-0051 (ext.216) for further information. Maximize your annual gift to the Auction Royale through the matching gifts program at your office. If your company has such a program, please contact us and we will take care of the paperwork. 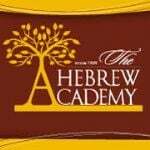 Supporting the Hebrew Academy has never been easier. Your legacy. It's something you create during your life solely to benefit future generations. Find out what to give and learn about the best assets that make a planned gift. Learn about gifts of cash, securities and property. Click here for more information and call Rabbi Meyer Newman at 714-898-0051 (ext 216) to set up a meeting. There are many ways to honor someone's memory or mark a significant occasion by donating funds. Please call the development office at 714-898-0051 for more information (ext. 216).